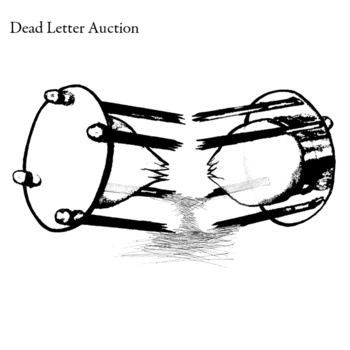 Dead Letter Auction was from Fort Wayne, Indiana and play what many would call post-punk. That will give you some idea, but I'll forgo the labels here and just attempt to describe what I'm hearing. Tight drums and solid bass create a nice foundation as the swirling guitars layer the music with some very nice texture. This is all topped off by some vocals that remind me a bit of old Ebullition records bands or perhaps some later Dischord bands (Bluetip comes to mind). There's a high pitched whine to them, at times reminding me of Hot Snakes or Four Hundred Years. I found myself very impressed with this collection due to it's flow. There's not a bad song here among the five. "The Medium" and "The Mourning" are the most laid back of all the tracks, giving you a breather in a somewhat introspective manner. The production here is done pretty well as every instrument is able to occupy part of the mix evenly. Definitely a band that has gone under the radar.